my daughter and i continue to ENJOY what the sheep did!!! is the sheep a "he" or a "she"? i love grilled cheese and tomato soup! 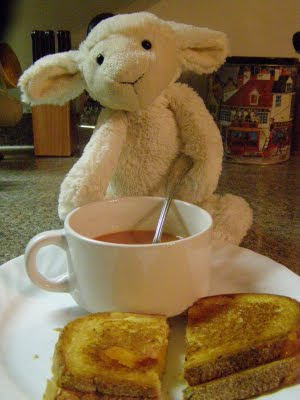 The Sheep is a "he" and tomato soup and grilled cheese is his favourite summer lunch. He takes crackers and cheese to the library during the school year. She didn't mention that she doesn't actually let me eat in the library... and, really, crackers and cheese? That's getting a little old.